With the new Apple 5, many companies manufacturing various accessories released paraphernalia associated with the gadget. One of these brands is Omega, known worldwide for its original wristwatch. The watch company has released products in a very unusual area. These are new cases for iPhone 5. This accessory combines Apple gadget fans and watches Omega. Case made specifically for the new phone, protects it from scratches. On the cover is an image of the Greek letter “omega” is the logo watch brand Omega. 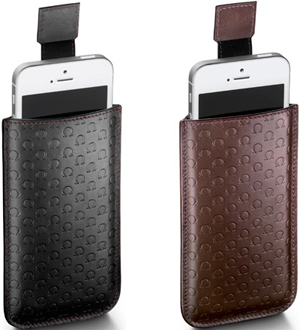 New accessory is available in two versions – black leather and brown. Novelty can buy in retail stores of Omega.